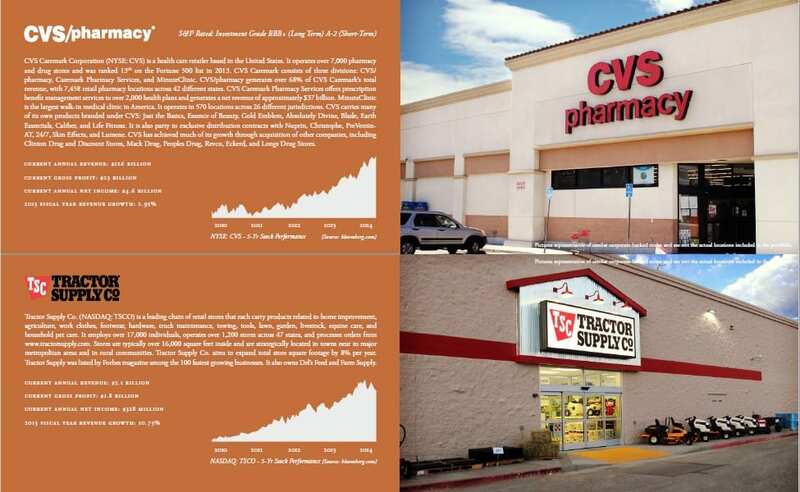 ExchangeRight Net-Leased Portfolio 6 DST is a portfolio of single-tenant, long-term net-leased retail assets that are 100% leased to Advance Auto Parts, AutoZone, CVS/pharmacy, Dollar General, Dollar Tree, Family Dollar, and Tractor Supply Co. 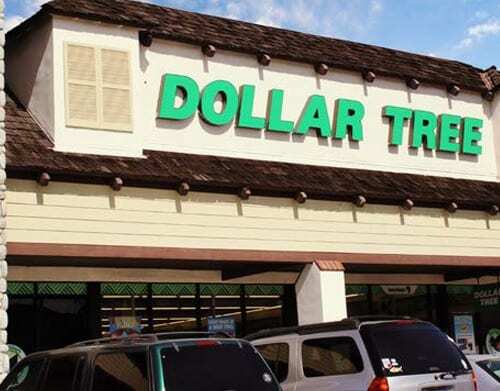 This Offering is designed for investors seeking to participate in a 1031 tax-deferred exchange as well as investors seeking a diversified net-leased real estate investment on a cash basis. 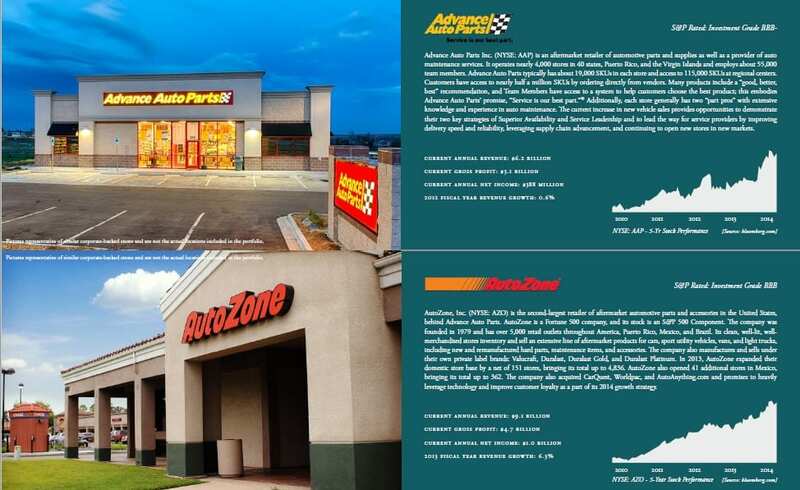 ExchangeRight Net-Leased Portfolio 6 DST is a portfolio of single-tenant, long-term net-leased retail assets that are 100% leased to Advance Auto Parts, AutoZone, CVS/pharmacy, Dollar General, Dollar Tree, Family Dollar, and Tractor Supply Co. One of the properties is leased to Advance Auto Parts and is located in San Angelo, TX. 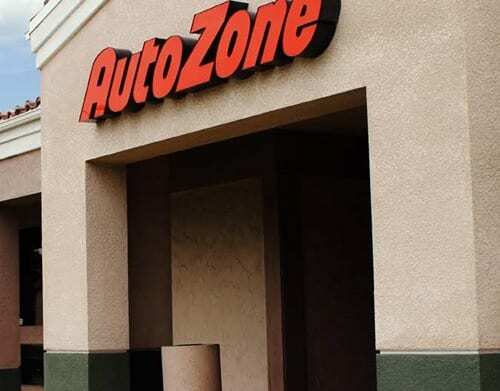 One property is leased to AutoZone, and is located in Tampa Bay, FL. 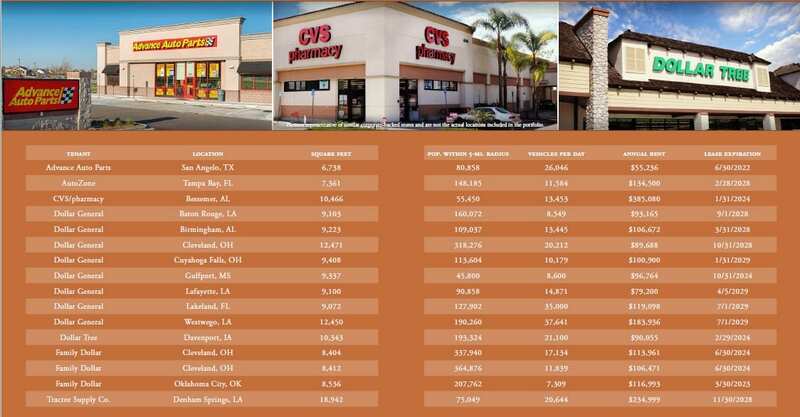 One property is leased to CVS/pharmacy, and is located in Bessemer, AL. 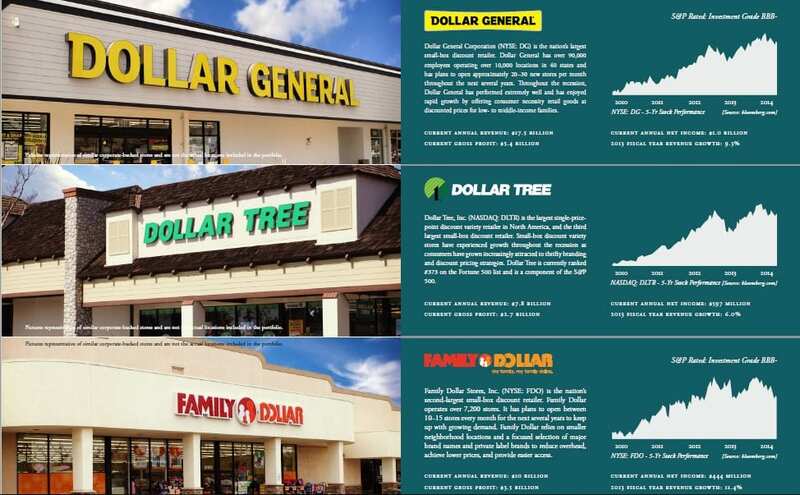 Eight are leased to Dollar General, and are located in Baton Rouge, LA; Birmingham, AL; Cleveland, OH; Cuyahoga Falls, OH; Gulfport, MS; Lafayette, LA; Lakeland, FL; and Westwego, LA. 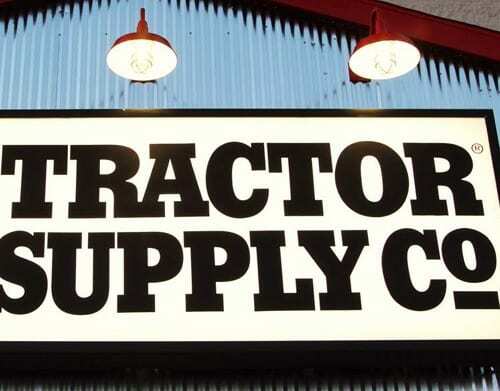 Finally, one property is leased to Tractor Supply Co., and is located in Denham Springs, LA. The Sponsor of the Offering is retaining at least a 2% ownership interest in the portfolio and is offering up to 98% of the beneficial interests in the DST to accredited investors. The total Offering amount is $33,743,322, of which $15,735,000 is equity and $18,008,322 is long-term fixed-rate financing. The Trust closed on the portfolio of properties on May 9th, 2014, with 10-year fixednon- recourse financing with an interest rate of 4.79% and an average debt coverage ratio of 2.48 throughout the hold period. Not including additional reserves, the Offering’s projected cash flow for each year throughout the hold period is as follows: 7.51%, 7.51%, 7.51%, 7.51%, 7.61%, 7.83%, 7.87%, 7.87%, 7.90%, and 8.16%. 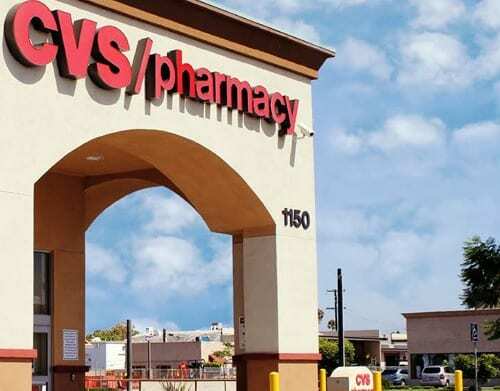 This Offering is designed for investors seeking to participate in a 1031 tax-deferred exchange as well as investors seeking a diversified net-leased real estate investment on a cash basis. Investors completing a 1031 exchange may invest for a minimum of $100,000; investments made on a cash basis are subject to a $25,000 minimum investment. There can be no assurance that the investment objectives will be achieved. This investment is subject to risks including those real estate risks associated with the operation and leasing of retail property. There is no guarantee that investors will receive distributions or the return of their capital. All potential investors must review the private placement memorandum in its entirety prior to making an investment for a more-complete review of the potential benefits and risks of the Offering. ExchangeRight is committed to providing long-term, stable income and asset preservation to accredited 1031 and 1033 investors. Our goal is to consistently deliver 1031-exchangeable DST portfolios of long-term, net-leased properties backed by investment grade corporations. We target corporate tenants that successfully operate in the necessity retail space to provide investors with stable and predictable income. ExchangeRight’s long-term exit strategy is to provide greater diversification and value to investors by combining multiple portfolios of investment grade, net-leased assets in a portfolio sale or 721 exchange roll-up. ExchangeRight launched its 1031-exchangeable DST multifamily platform in 2015 targeting Class B apartments with stable income and value-added upside potential. Our multifamily offerings feature strong cash flow, high debt coverage ratios, conservative underwriting, long-term fixed-rate financing, and the potential to enhance return with value-added strategies. 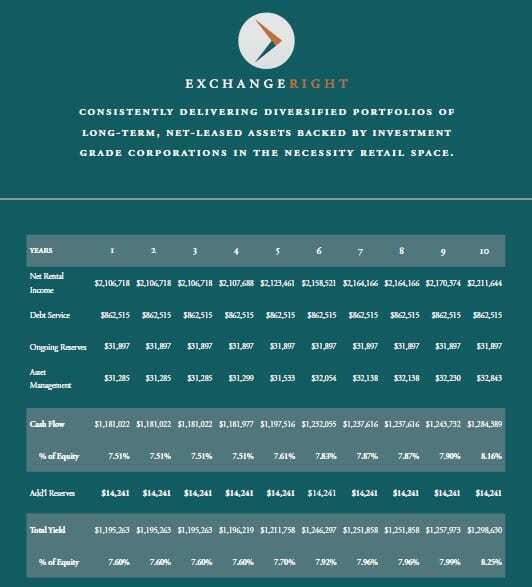 ExchangeRight also raises limited preferred equity capital that allows accredited investors to participate in the cash flow and profits of our 1031 platform. This preferred equity is used alongside ExchangeRight’s capital to invest in the acquisition and inventorying of individual net-leased assets prior to their being structured in DST portfolios for offering to exchange investors. These preferred equity funds can provide investors with enhanced liquidity and short-term returns, and exit options with each DST portfolio disposition. We have similar current DST property list. Sign up now!